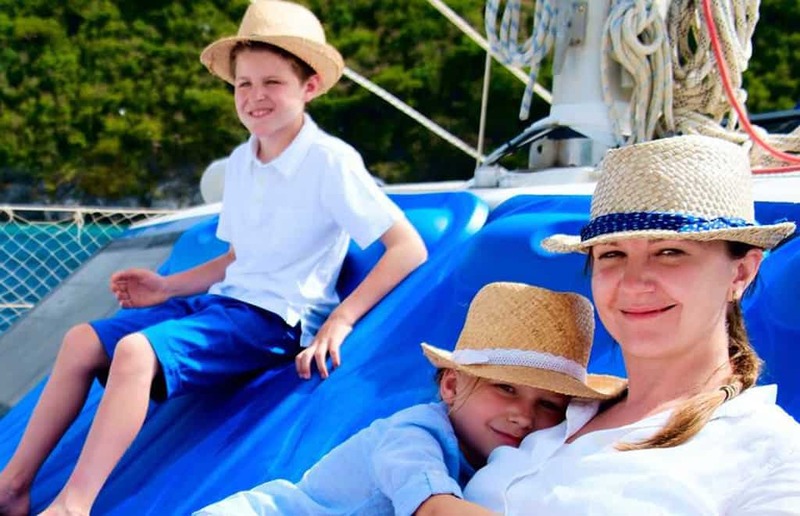 Blue cruises are perfect for families. If your group includes small children, you can organize a route with a lot of safe places for swimming. 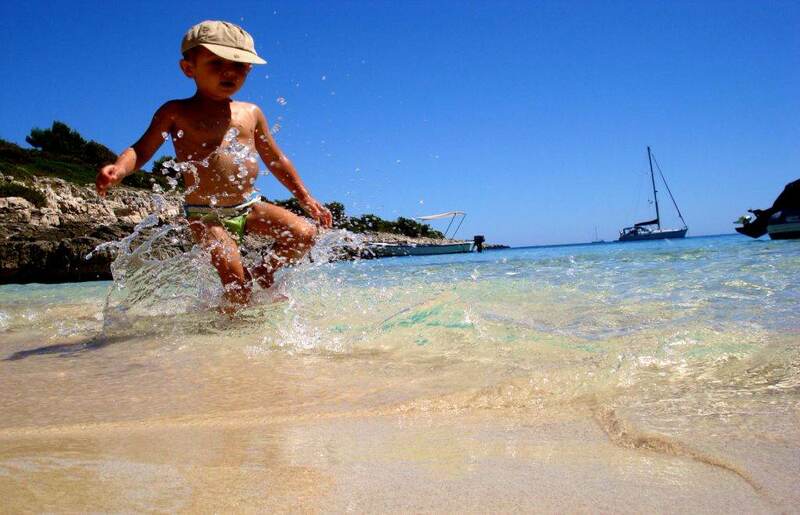 Croatian islands offer many beautiful beaches where children can safely play in the crystal clear water of the Adriatic sea. The itinerary should not be one hundred percent fixed and set in stone. It should be short and flexible, a combination of beautiful islands, nice towns, and interesting activities. 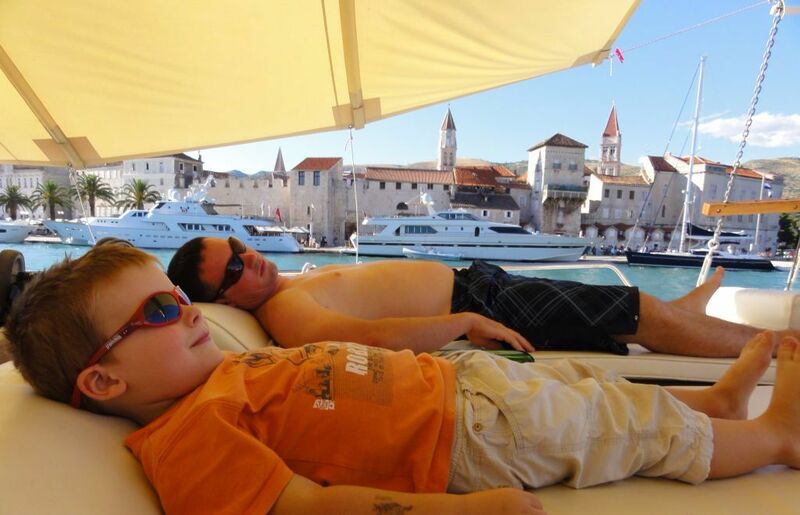 It should also include a lot of different beaches and beautiful spots that are perfect for children. When it comes to children it is always safety first. 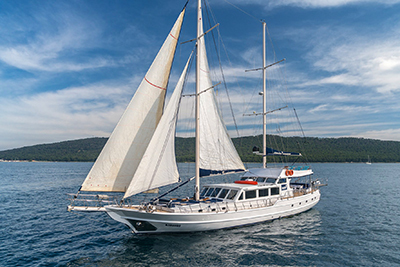 Charter a gulet that will be safe for kids, with a safety net, large salon and wider, spacious and more comfortable ship beam. 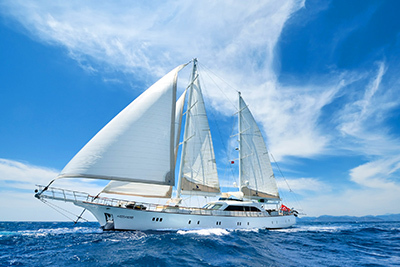 When gulet is cruising around kids can play safely on the deck or they can have fun in the salon. You can book gulets that have a large salon with TV. 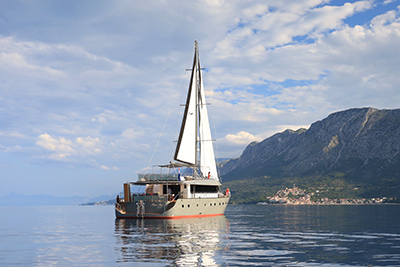 This comes useful for leisure time while the captain takes you from one location to the other. Children will be safe in the salon watching cartoons while you can enjoy and relax on the deck. 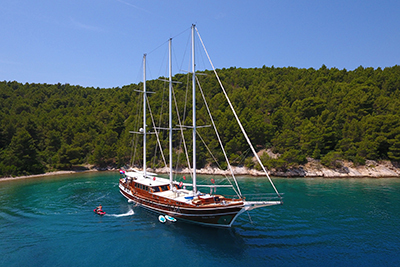 When the gulet is moored in a beautiful bay the possibilities for kids are almost unlimited. They can jump in the sea, swim, drive to the beach, etc. Water sports are an important addition for children. 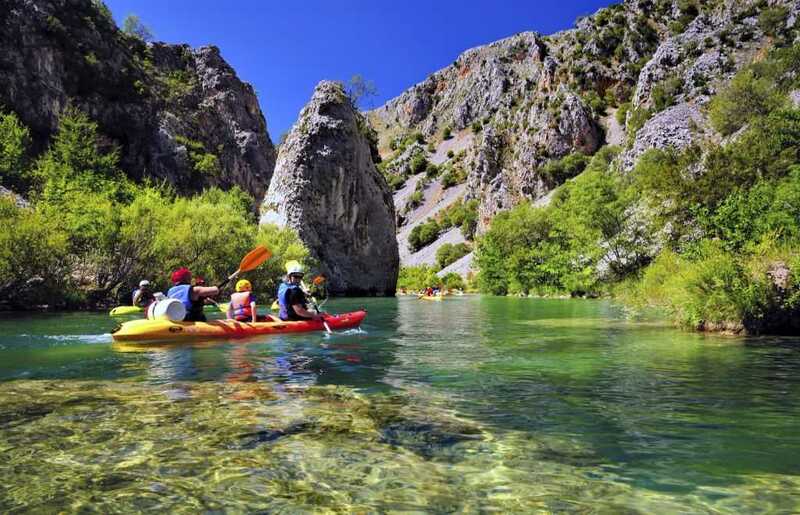 It is very good for the gulet to have at least one canoe. It is great fun for small kids. If you travel with smaller kids we always recommend full board accommodation (with breakfast, lunch, and dinner). Food should be abundant and with a variety of choices. The chef should have the flexibility to prepare meals modified for kids. 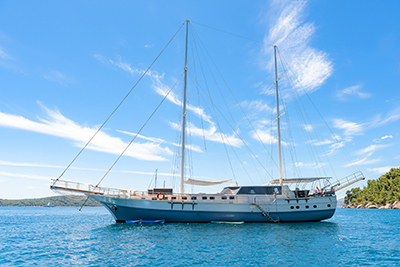 If your group includes teenage children, you should organize an itinerary where kids can get off the gulet on several occasions to have a good time on their own. The chosen places should be very safe for them. A lot of places for swimming, snorkeling, and other water sports are also very important. 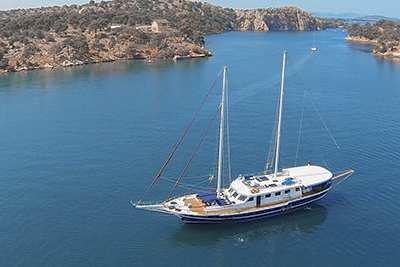 Gulet must have as much water sports options as possible. You don’t want your teenage kids to be bored during the holiday. Salon with a TV is almost a must, as is other technical equipment such as iPod plugins and a good music system. It is important to check the availability of a Wi-Fi internet connection. 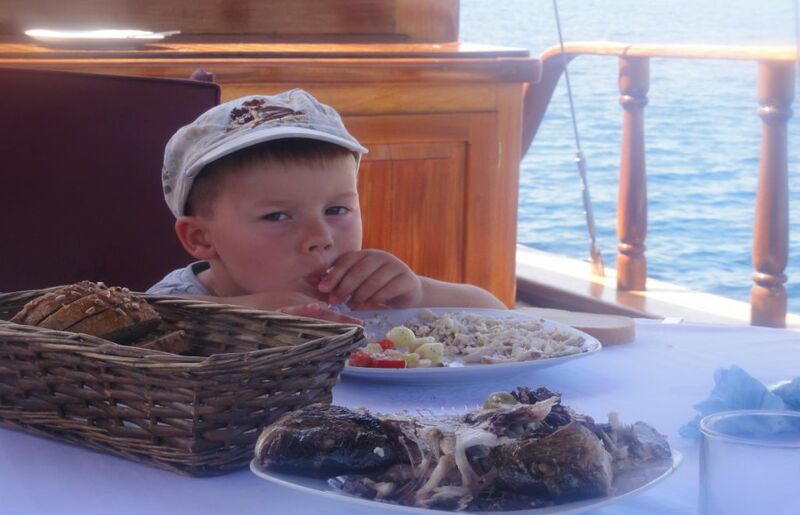 Eighty percent of the time our groups with small children were the happiest when kids enjoyed the cruise the most, when gulet was safe and crew was “children-oriented” and helpful, the itinerary included lots of different beaches and places perfect for kids, and the cruise was organized in a way that parents were also able to take a breather. Groups with teenage children were the most satisfied when teens were active and had lots of interesting things to do.